1 IN 8 PEOPLE IN AMERICA FACE HUNGER. TAKE ACTION TO CHANGE THAT. 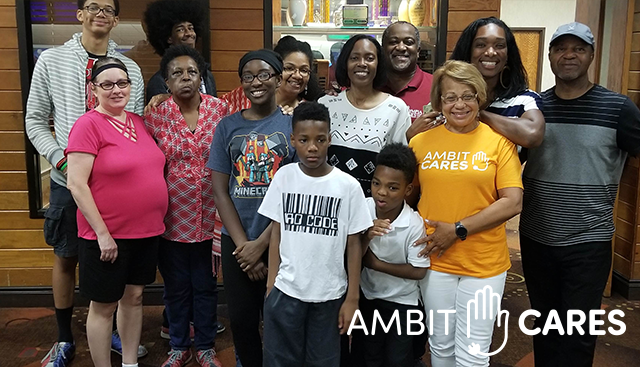 Our mission is to harness the energy of our Ambit community to change the lives of those in need by fighting hunger in America. 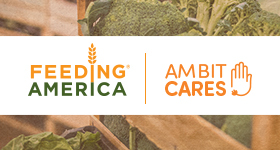 Ambit Cares is a Supporting Partner of Feeding America®, the nation’s largest organization dedicated to fighting domestic hunger through a network of food banks. You will be directed to our secure website to complete your donation. Whether you’re donating a little or a lot, every dollar makes a difference. Your contribution helps provide meals to families, seniors, individuals and children across America who face hunger every day. Donate money, donate food or volunteer your time. Please visit the Ambit Store to purchase an Ambit Cares t-shirt. Organize a volunteer activity at the hunger relief organization of your choice. This tool will help you find a list of local food banks where you can volunteer. Organize a volunteer activity at the hunger relief organization of your choice. This tool will help you find a list of local food banks where you can volunteer. Once you organize a local volunteer event, share it on the Volunteer Opportunity Calendar on PowerZone. Consultants can also use this tool to find volunteer opportunities in their local communities. Whether you donate your time or donate food, keep track of your hours spent volunteering and/or the monetary value of food donated. 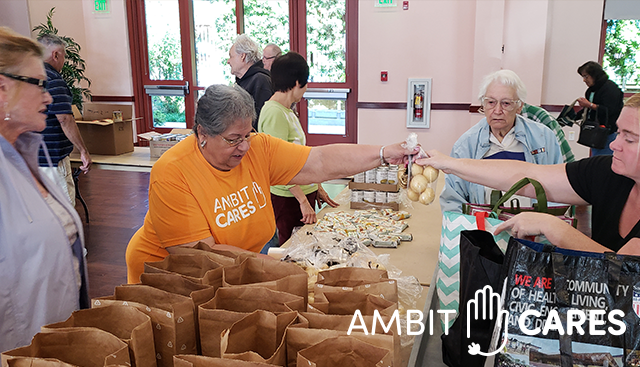 Contributions made to Ambit Cares help provide meals to families, seniors, individuals and children across America who face hunger every day. 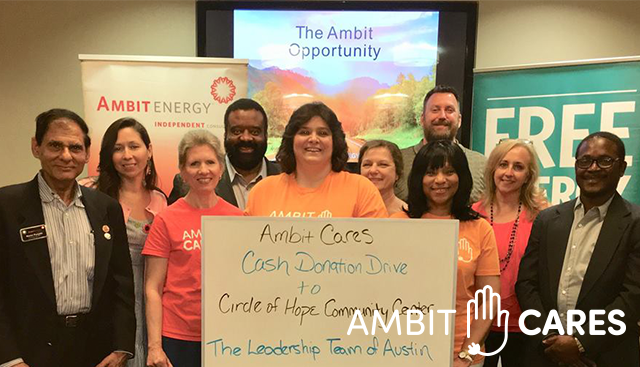 Review the Ambit Cares Fundraising Guide to learn the dos and don'ts of fundraising for Ambit Cares. Use the Volunteer Completion Form to submit your photo, number of hours spent volunteering and/or the quantity of food donated calculated in pounds. 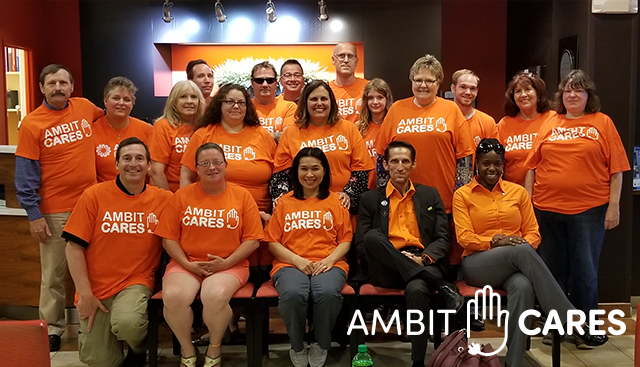 Consultants who complete the Volunteer Completion form with the required information will receive an Ambit Cares badge on AmbitSuccess.com. Those who go above and beyond will be further recognized at annual events for their efforts. Please email ambitcares@ambitenergy.com if you have any questions. In the communities where we live and work, it’s our goal to make them a better place. 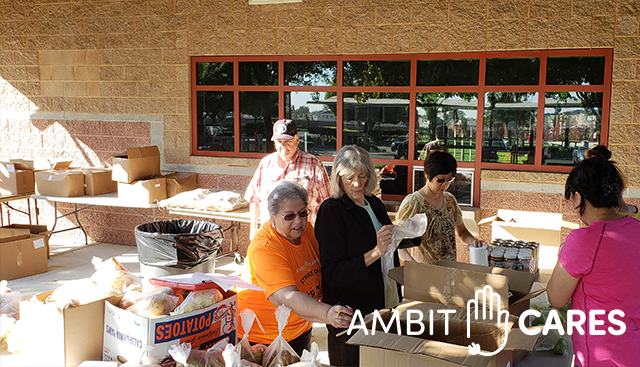 By mobilizing the Ambit Energy community, Ambit Cares works to address a very important issue that affects one in eight people in America: hunger. 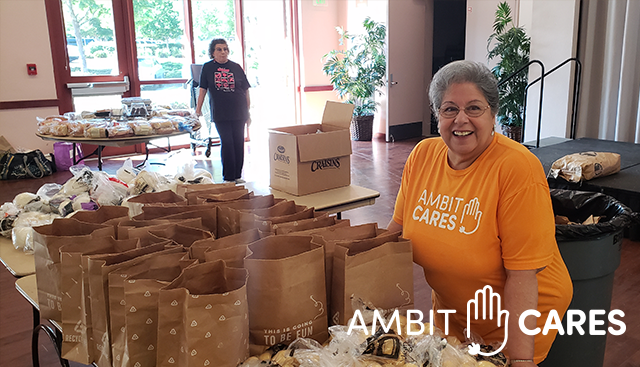 Ambit Cares advocates volunteerism and provides opportunities for the Ambit community to give back through donations that support the cause and by participating in local efforts that work toward ending hunger. FAQ: What is an Ambit Cares Volunteer Week? 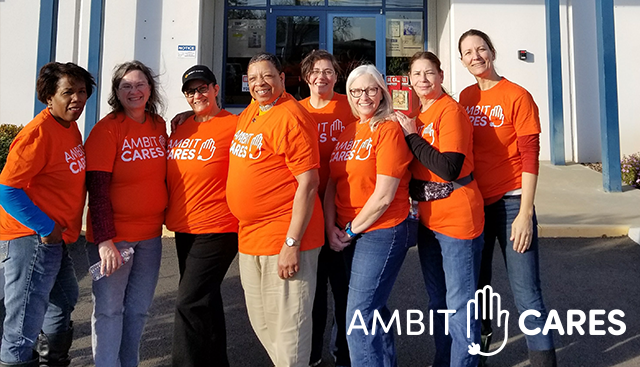 Answer: During an Ambit Cares Volunteer Week, we ask our Customers, Consultants and Employees to get involved by volunteering at or donating food to a hunger relief organization in their local community. To receive credit for your Ambit Cares volunteer hours and donations, please fill out the following form. Your volunteer hours and/or the amount of food donated (calculated in pounds) is required. 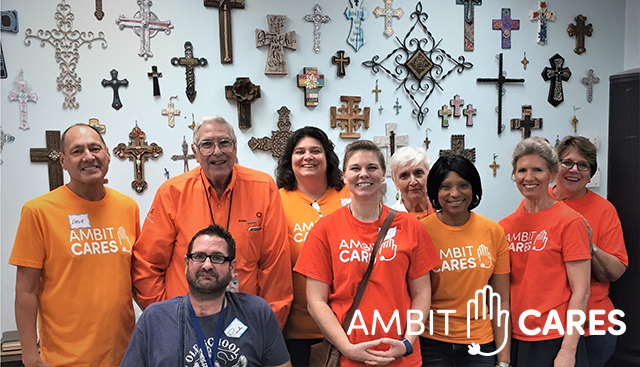 Additionally, a photo of you and/or your team volunteering in your Ambit Cares t-shirts is preferred, but not required.